Is your hotel located near Fortune Theatre? Get in touch now to be listed on this page. 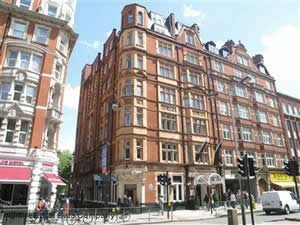 As a Thistle Associate Hotel, Bloomsbury Park Hotel is one of the more affordable hotels in Central London and just a short stroll away from the Fortune Theatre. The hotel offers the usual amenities, including toiletries, tea and coffee making facilities, television, WiFi and 24 hour room service. The hotel has two bars and a modern brassiere style restaurant. Bloomsbury Park Hotel also welcomes families and has special family bedrooms. Call 0800 330 8551 for reservations and further information. Reviewers on TripAdvisor have given Thistle Bloomsbury Park Hotel London 4 out of 5 stars. You could not get a more perfectly located hotel for the Fortune Theatre! Literally two minutes walk in a straight line and you are at One Aldwych. This hotel truly is the crème de la crème of places to stay in London and with an indoor chlorine free pool that plays music underwater; it isn't hard to see why! There is also a gym, sauna, steam room and massage facilities for those looking to pamper themselves before a night at the theatre. Furthermore, One Aldwych has two top rated restaurants that provide pre-theatre menus. The bedrooms are as plush as the rest of the building, with fresh flowers to brighten up the place and fresh fruit adding to the list of luxury amenities. There is, of course, wireless Internet, air conditioning, DVD and stereo facilities, and 24 hour a day room service. However, this level of luxury does not come cheap. Call 020 7300 1000 for reservations and further information. 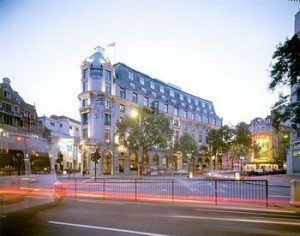 Reviewers on TripAdvisor have given One Aldwych 4.5 out of 5 stars.